Cook pasta as package directs. While pasta is cooking, place all remaining ingredients in a food processor or blender and blend until smooth and creamy. 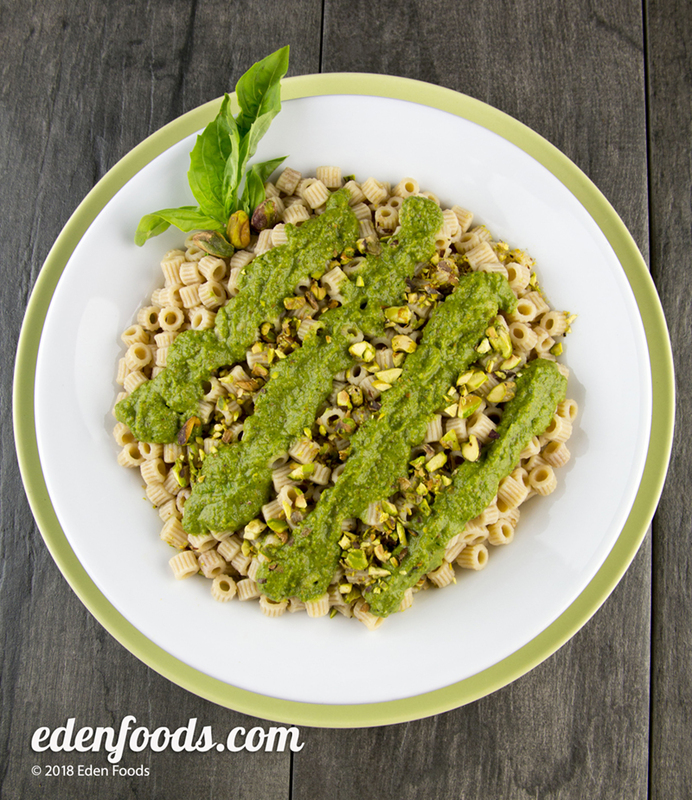 When the pasta is done, quickly rinse under cold water, drain and toss with pesto or serve pasta hot with a large spoonful of pesto sauce on top.